Enrollment advisors’ support begins with students’ initial contact as they explore what the UW Flexible Option offers, discover whether the Flex model is a good match for them through a phone interview (and, if not, what other University of Wisconsin options would be a better fit), determine whether they qualify for their academic program of choice, and, if so, move on to the admissions process. Admissions advisors support students as they apply to one of the UW Flexible Option degree- or certificate-granting institutions. In this process, the Flex advisors act as agents of those institutions. As for all UW System institutions, admissions advisors take a holistic approach as they evaluate students on multiple criteria. UW Flex admissions advisors review each student’s high school records, strength of prior college coursework, rigor of curriculum and academic readiness, test scores, grade point average, academic goals, relevant work experience, and potential for success. UW Flex admissions advisors would weigh the relative importance of certain criteria for nontraditional students, such as a low grade-point-average for a student who had entered college straight out of high school 15 years ago, left because of a poor academic record, and matured since then through life and work experiences. Admissions advisors also review any requirements specific to an academic program, such as the need for registered nurse licensure and an associate degree in nursing for admission to the UW Flexible Option RN to BSN degree-completion program offered through UW-Milwaukee. Once students are admitted, an Academic Success Coach (ASC) is assigned as the main point of contact for questions, concerns, and guidance throughout a student’s engagement with UW Flex. The ASC role is described in the following takeaway. Faculty are, of course, at the center of the UW Flexible Option curriculum. Academic Success Coaches are at the center of student support services. ASCs provide a comprehensive, proactive source for student support. 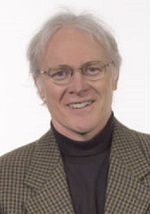 Support areas include joint development of a personalized learning plan with a customized timeline to fit each student’s goals and existing knowledge and skills; guidance and direction on curated content, study strategies, and proctoring; guidance based on faculty feedback on assessments; referrals to academic program faculty (following protocols to ensure both the ASC and faculty remain informed, responses to students are prompt, and the communications loop is closed on the issue at hand); connection to administrative services; and general life coaching related to self-directed learning, such as time management. In short, an ASC is the student’s “go-to” person for support, whether that’s help with scheduling, problem-solving, or general guidance. To provide this support, ASCs not only have to know the UW Flex academic programs, procedures, and policies, they also need to get to know the students. We try to understand our students down to their learning styles and their interests. We start where the student is at. It goes a long way to building a relationship when students realize they’re being heard and you’re shaping your responses to meet their particular starting point. Even before their first conversation with the student, the ASC reviews application materials to begin developing a holistic profile that will help the ASC understand the student’s experiences, work-life demands, and other factors that may affect student success. The first conversation is by phone to help build rapport as the student and ASC learn about each other and discuss the program, requirements, the ASC role, and expectations. This is a time when the ASC might find out about a health, home, or work situation that could get in the way of learning, leading to a discussion about options including deferred enrollment. After the initial call, most students prefer email communications, which ASCs also personalize along with using templated information as appropriate. ASCs help students choose learning resources to prepare for assessments, including alternatives that suit their learning style as needed. ASCs identify print and online materials and help students brainstorm about other options such as internships, service projects, and work and practical experiences. ASCs assist with registration for competencies, understanding tuition, tracking important dates and deadlines, auxiliary student support that might be of interest (such as access to a campus library and student health insurance, preparing for graduation, and connecting, as appropriate, with campus career offices). ASCs also solicit and share student feedback about UW Flex, contributing to the continuous improvement of Flex and supporting self-directed learning by Flex students. For their unique role, ASCs need strong training, opportunities for professional dialogue, and continued supportive supervision to know when to refer and connect students to the array of specialized resources available that exceed the ASCs’ areas of expertise. An ASC’s role then is to make the referral as individualized, direct, and productive as possible. An introduction to the ASC role and the current ASC staff is provided for students. ASCs’ interactions with individual students vary according to each student’s needs and preferences, a point elaborated on in this video featuring two members of the Academic Success Coach team. Nadia Kaminski and Mike Exum discuss the UW Flexible Option Academic Success Coach role. Based on experiences to date, ASCs also anticipate cultural differences among students by their academic program. For example, students working through general education competencies for a Flex associate’s degree may appreciate the patience of a nurturing coach to guide them, particularly if an earlier experience in higher education was negative. Confidence-building, however, ranks lower in importance for students already working in their professions, such as nursing or information science. UW Flex ASC experience indicates that those students prefer short, distinct communications. When UW Flex launched in 2014, the scale of ASC staff to students was 1:85. UW Flex experience indicates that as academic programs advance from developing to mature, an ASC can work more efficiently and can handle about 125 students. For an academic program to operate well, UW Flex experience indicates that program leaders must clearly communicate how this CBE model differs from traditional higher ed models and what that means in terms of role expectations. UW Flexible Option IT staff continue to build and develop a comprehensive Student Engagement System (SES) that includes student-centric, competency-based record-keeping components not tied to traditional academic parameters such as terms, credits, or seat time. The SES eventually will provide easy, convenient seamless access to student records and information throughout the student lifecycle. This saves students’ time and supports student success by illustrating students’ progress toward their goals to date and the pathway forward. The SES also is designed to facilitate access to faculty, staff, and—through a planned social engagement component—other students. As the central point of the student support system, Academic Success Coaches orient students to UW Flex and direct them to information about UW Flex in general, such as online resources for current students and a video introduction to the learning management system. 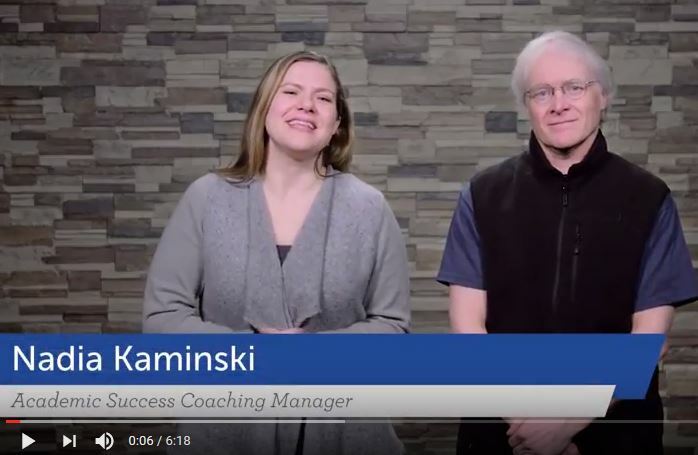 Two University of Wisconsin-Extension instructional designers talk about what the curriculum design and delivery model look like from the student perspective in this video for new students. Each competency area or project also includes a welcome message (video or text format). This message provides context about why professionals study a particular discipline. It also provides an overview of the specific competency area or project, curated content students can access, and how students will be assessed. Research, including by Turkay (2014), indicates the value of setting goals, having a plan, and writing it down. The Goal Setting Assignment fills the requirement for federal financial aid recipients to demonstrate meaningful work within the first 10 days of a UW Flex subscription period. UW Flex early response: Academic Success Coaches immersed themselves in both the culture of UW Flex and the culture of the academic program (such as UW-Milwaukee’s RN to BSN) to become “bicultural.” Their physical location (in the UW Flex operational center) supported the former. Their assignment to one or two academic programs allowed them to develop relationships within the degree-granting institution and navigate that culture. Institutional partners trained ASCs on academic program components and content and worked closely with ASCs to provide access to program faculty, staff, and campus advising personnel. Their timely exchange of information, such as about curriculum resources and advising needs, helped ensure a positive student experience. Looking forward from 2017: Cross-training efforts continue so that Academic Success Coaches develop knowledge about multiple programs (academics and the cultures) to allow the back-up needed in a relatively small staff. ASCs continue to build a knowledge base useful for this purpose and for onboarding new coaches. UW Flex early response: The UW Flexible Option launched with only two Academic Success Coaches (ASCs) and a team leader, challenging each to know as much as possible about every academic program open to Flex students at that time. The ASC team since has grown and includes several coaches, who are cross-trained, and the team leader. The staffing now allows multiple coaches for each program, supports work-life balance for ASCs, and ensures better coverage for students. That coverage extends until 6 p.m. weekdays; however, ASCs also make appointments after-hours and on weekends as necessary. The turnaround time for ASCs to respond to student contacts is within 24 hours during the work week. When students have urgent needs after hours and on weekends, they’re encouraged to email the general inbox for the team rather than their personal ASC. ASCs rotate monitoring of that inbox and are particularly attentive and responsive at the beginning and end of a subscription period when students typically contact them more often. Subscription periods begin the second day of each month, which sometimes lands on a weekend or holiday. The team leader schedules half of the ASCs to provide coverage for those instances. In addition, technical support for students is available from 7 a.m. to 11 p.m. seven days a week, except for legal holidays. Looking forward from 2017: When the UW Flexible Option launched, the amount of information students could access by self-service was minimal, so students turned to ASCs with common questions. UW Flex staff continue to build more self-service options into a robust student-facing website and to make that site more user-friendly for students. What issues does CBE address?